Yesterday, I encountered a rather strange phenomenon. 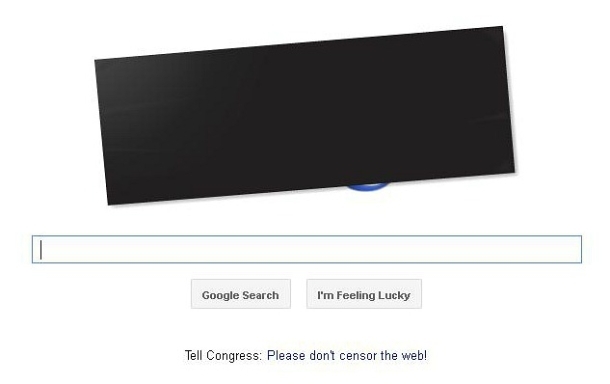 I noticed that Google’s Logo was blacked out! I thought to myself, "Well this is weird". I was perplexed and had lots of questions, so I decided to inquire as to why the Google logo was sensored. So, I started to "Google" answers to my questions. To my surprise I found out that Google and other sites like Wikipedia were making political statements about significant legislation that is currently pending in Congress that might impact how available information is shared on the web. After doing my research, I discovered that this legislation is actually two different acts called SOPA and PIPA. 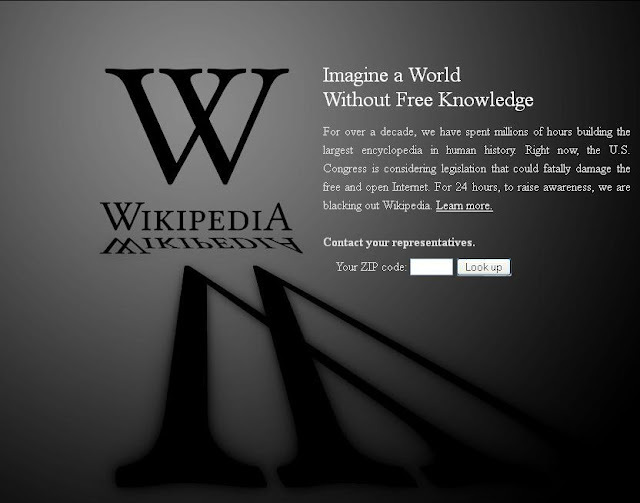 Since I was unfamiliar with SOPA and PIPA, I decided to look them up on Wikipedia ... Anyone else see the irony in this?